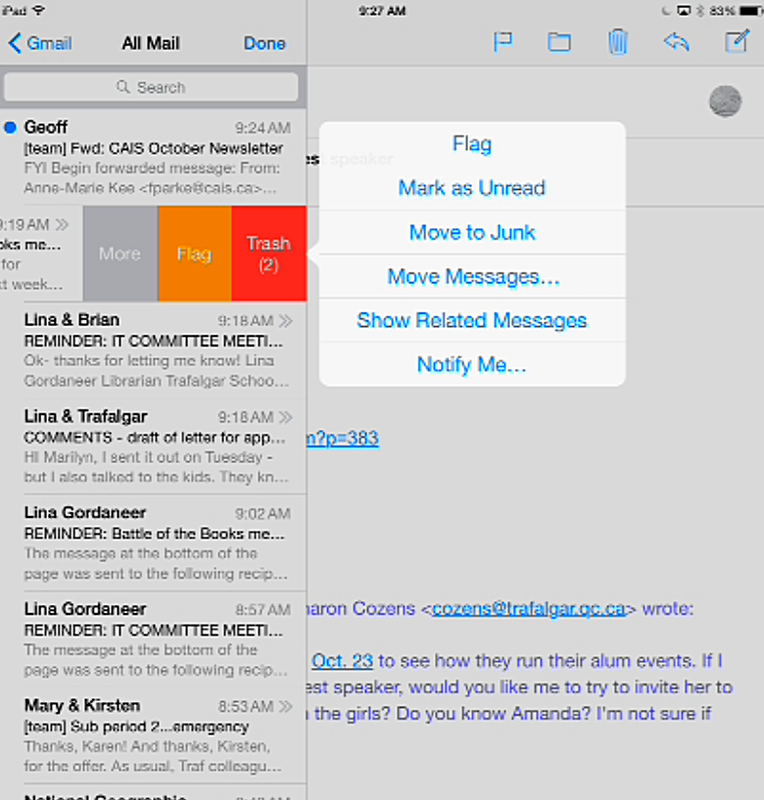 iOS8 also has some handy dandy new mail features, which I think we can all agree has been a long time coming. 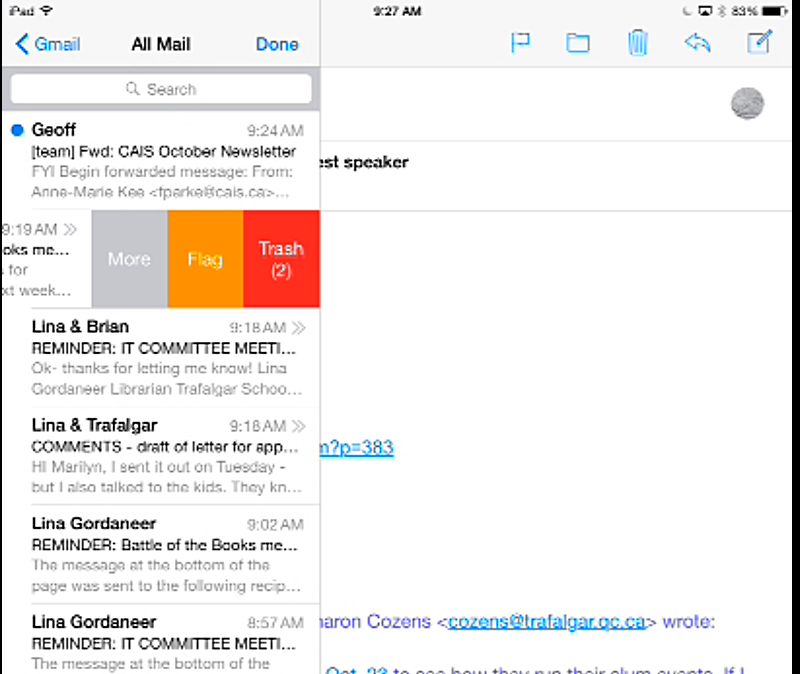 See the new Mailbox tab at the bottom here? Tap on that and you are golden! If you would rather just follow his written instructions. 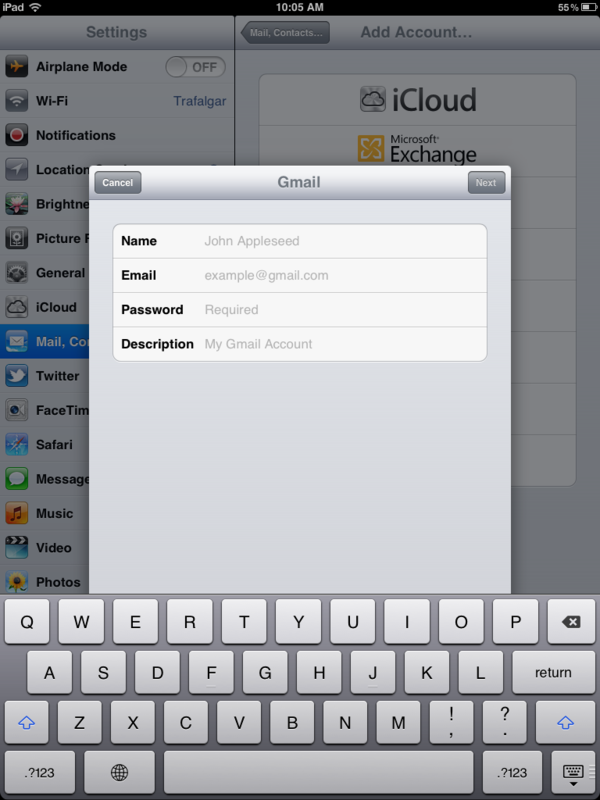 He covers how to create folders in your inbox on your iOS device, and how to rearrange your accounts. So, last week a very tech savvy individual who shall remain nameless, who uses her iPad in many interesting ways, was showing me a new app she was very excited about. She told me I could play around with it so that I could write about it on this blog (that will come later). I played around with it, took a few screenshots, then went to email the photos to myself. 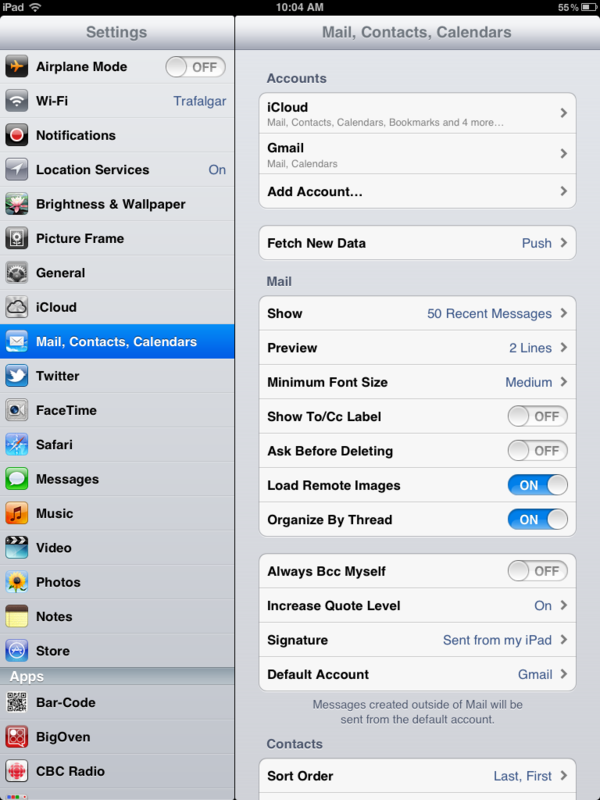 Imagine my surprise when I discovered that savvy tech lady has NEVER CONFIGURED HER EMAIL ON THE IPAD! I was shocked. Dismayed. Puzzled. Befuddled. Flabbergasted. I could go on. Thesaurus is my middle name after all. She was puzzled at my puzzlement. 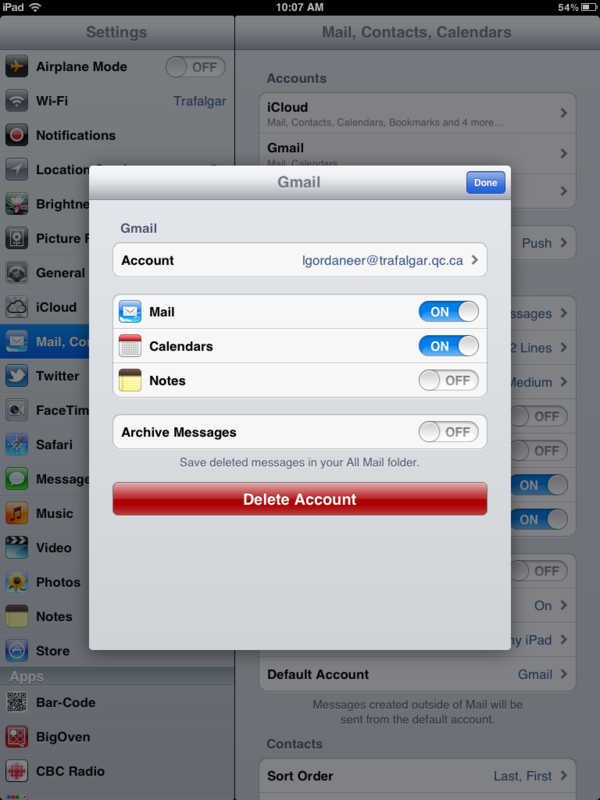 I don’t check my email on my iPad, she said. So why should I configure it. 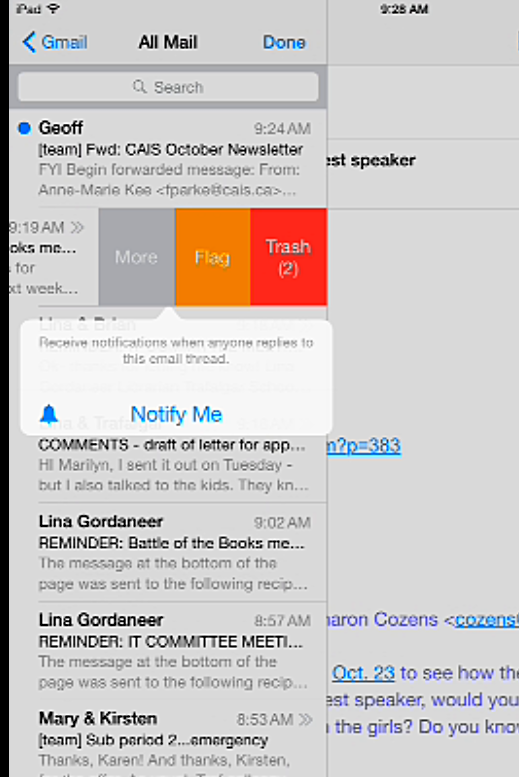 Well to start off with, so you can EMAIL YOURSELF THINGS! 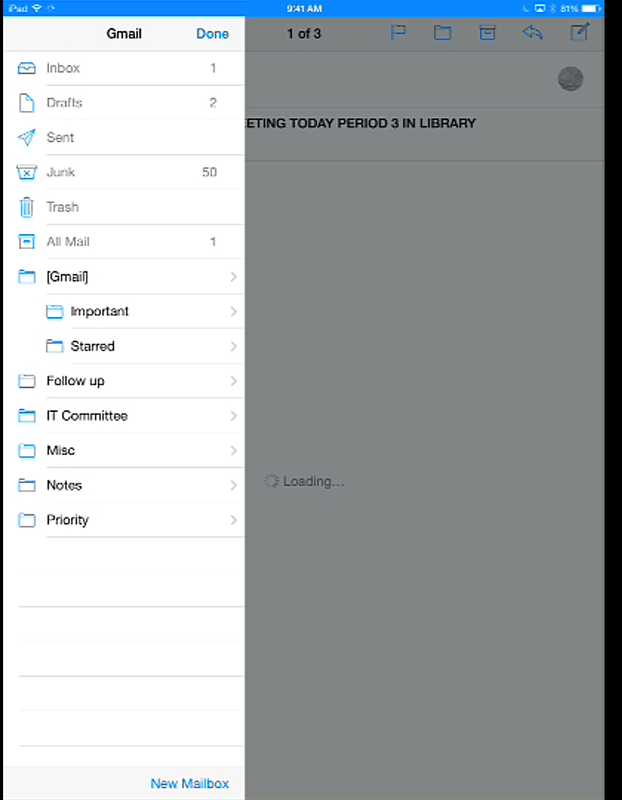 I use email often to transfer screenshots from my iPad to my desktop, to email meeting notes to the various participants, to email the results of my clicker quizzes. Well, you get the picture. 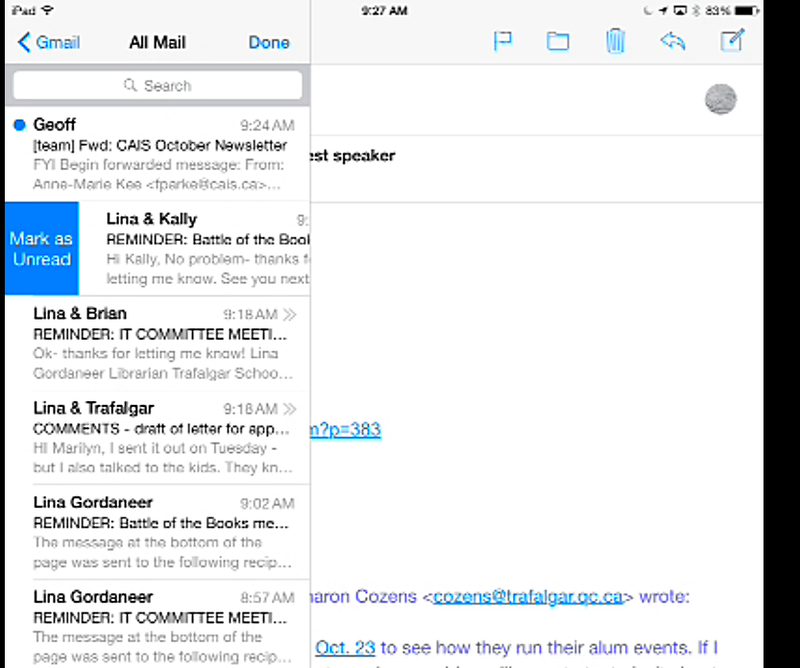 Email on the iPad is handy. 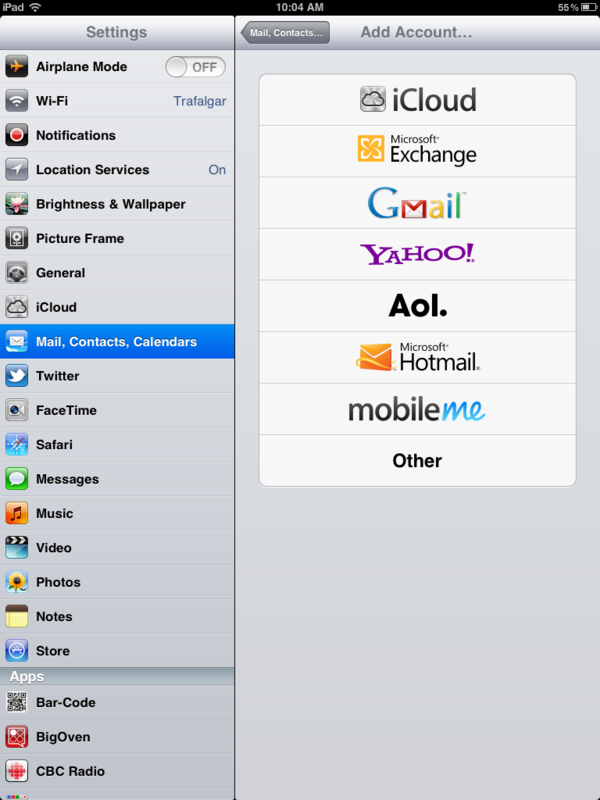 I also discovered that I never actually wrote about configuring your email. SO. And voilà! 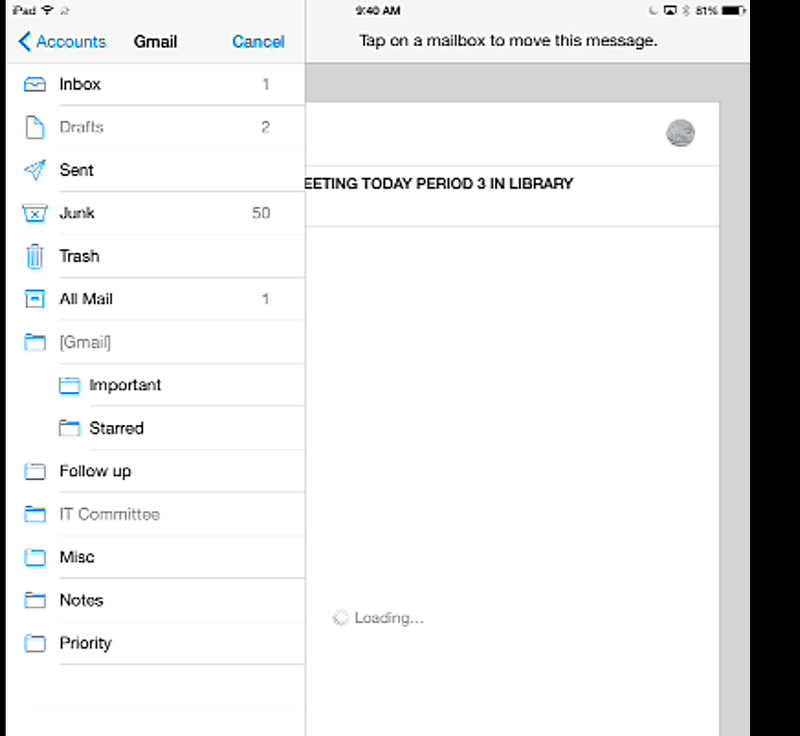 email on your iPad, yo.